A friend recently introduced me to this method of preparing bacon and it’s been a game changer. 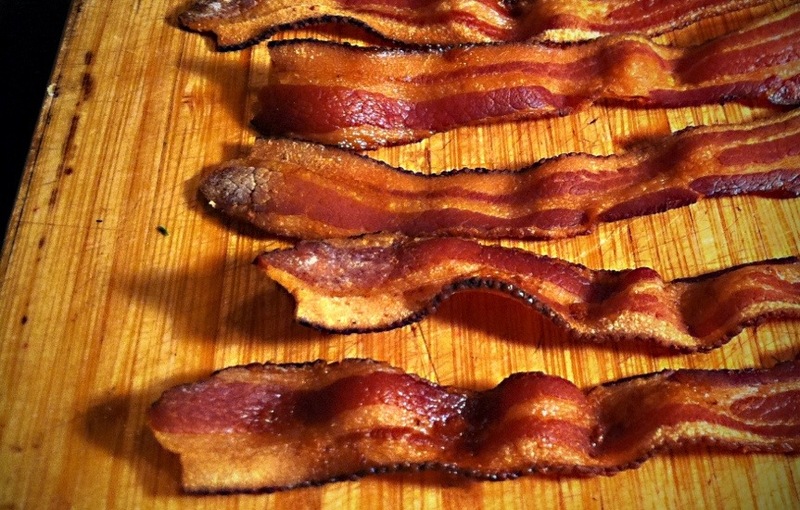 You can cook more bacon at once (always a good thing) and roasted bacon is more uniformly crispy. Best of all, you stick the bacon in the oven and you’re done. No flipping, no watching, no grease splatters – just delicious, perfectly done bacon. 2. Line a sheet pan with parchment paper or aluminum foil. You don’t really need to line your pan, but it makes clean up easier. 3. Lay the bacon flat on the tray, making sure strips don’t overlap, then roast for 15 – 20 minutes until it’s done to your likeness (I go for 20 minutes – I like my bacon really crispy). 4. Drain bacon on paper towels and serve.